But it can be done in a single statement if you combine XMLTABLE function to read the XML relationally and INSERT ALL statement to do a multi-table insert. 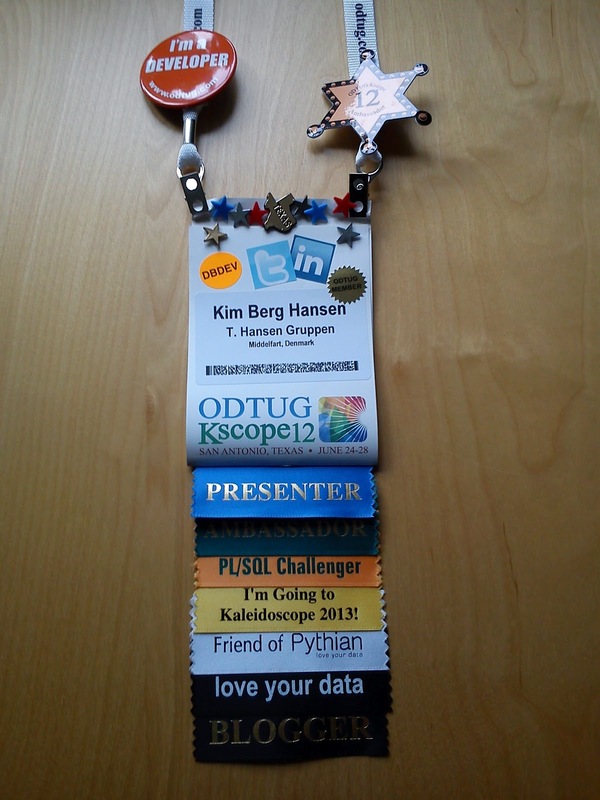 KScope12 is over. What a fabulous conference that was! On the plus side everyone can read my paper where I go through all the 6 demos in detail. That paper made it to the top 5 in the Editors Choice Award (thank you, editors :-) so if you didn't get it all at my presentation, you can get it all in the paper. Apart from my presentation I had a blast. Content wise I always learn a lot at KScope. And KScope also understands that you learn a lot better if you also have fun - that rodeo was a brilliant idea for the wednesday night event. The people gathering at KScope also make it awesome - both organizers and attendees - so a big thank you to everybody who was there.